Campus: Yola Campus (First Class), Director General’s Prize for First Class Students; First Class, Law School Class of 1990 Friends’ Association Award for the Best Graduating Student from Yola campus. University: University of Nigeria, Second Class Honours, Upper Division. About: I graduated in the top 3% of my undergraduate class. I can be reached at Cynthiambajunwa@yahoo.com. Sincerely, I’d do nothing different if I was resuming law school this year. God surrounded me with the right crowd both in mentorship and friendship. I remember being extremely sad- I cried for about 2 hours straight after seeing my posting and I barely slept that night. Thankfully, I had a mentor who understands the Word of God above feelings. God used him to give me hope and direction for law school. He gave me an anchor scripture that kept me focused and determined. We conquered the fear of law school long before I arrived there. Yola made it easier- I kept saying that I probably wouldn’t have coped on any other campus. I met the best set of people from day one and it was ease all through. Mostly. I probably should have easily accepted my posting. I spent most of the 1st term living in fear. I didn’t want to leave the campus at all. So right now, my only regret is having a list of places I didn’t visit in Yola. Prior to law school, my academic mentor told me that the law school journey is first won in the mind. He was very right. For the next nine months, you will have the bar finals hanging over your head like a pendulum. You can choose to either view the bar finals from victory or from fear. I’d advise anyone to let go of the fear. It is just an exam. Trust and enjoy the process of law school. I know people say “do what works for you” a lot. But it really cannot be overemphasized. Personally, I knew forming notes was an exercise in futility. And I stuck to my pattern of not forming notes even before I arrived in Law School. I used to randomly skim through this website for testimonies of people who did not form notes in law but made a 1st class. I needed to know it was not impossible and tried to steady my mind ahead of time. I had their testimonies bookmarked on my phone for easy access. This is because in law school, it’s easy for you to lose focus on your path and try to do what everyone else is doing- form notes, pull all nighters, read for extended periods of time without breaks etc. It’s easy to get intimidated; realizing you may not be the best in the room, and that even if you are, almost everyone else is working towards the same goal. Don’t make the mistake of counting yourself off as mere statistics. Don’t sell yourself short. Do what works for you but do it in the best way. Surround yourself with people on the same path- I had the best roommates in law school. Don’t be afraid to ask for help from anyone. Don’t be afraid to offer help to anyone. Use every opportunity to learn. Stand firm on your path and keep declaring God’s Word over your life. My goal was a First Class from day one. I knew that a 2.1 wouldn’t just cut it. So when people declared for 2.1 at least- I was declaring and praying for a 1st class at least. Because I wanted a 1st class and a prize. And God honoured His Word. About: Oyindamola is a graduate of the Faculty of Law, University of Lagos and the Nigerian Law School. She is interested in building a career path in Corporate/Commercial Dispute Resolution. She is an Associate member of the Institute of Chartered Mediators and Conciliators and a member of the International Law Association, Nigeria Branch. She can be reached at dammieaje@gmail.com. 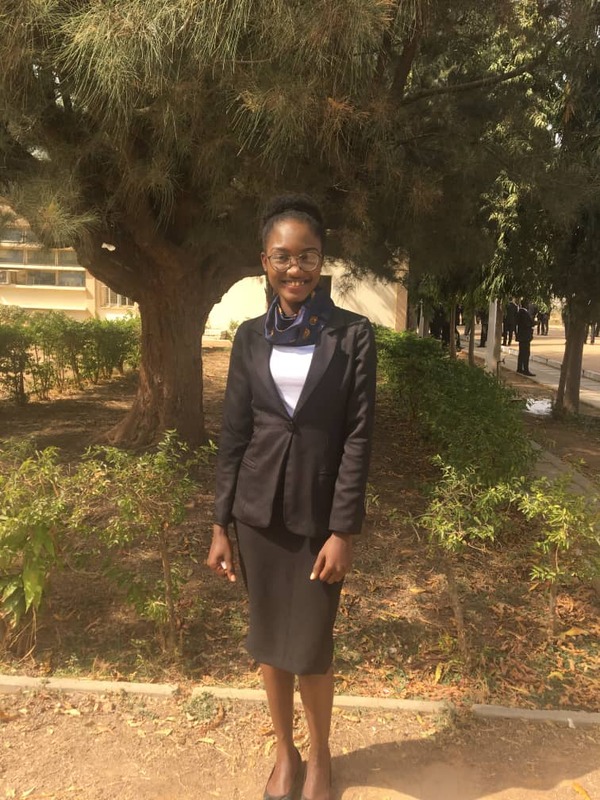 Firstly, to have an open mind towards the Nigerian Law School, and resume at my campus with the mindset that my campus will not be a determinant of my excellence at the bar examination. Secondly, I will encourage myself to erase all myths I have earlier heard about the Bar exams and consciously guard myself from nursing fear in whatever form. Thirdly, I will be diligent and hardworking all through my stay at the Nigerian Law school (NLS), participating actively in all the activities that makeup the NLS’s curriculum and never giving room for procrastination. Fourthly,I will consciously select a formidable support system. Friends with like minds ,who have the same goal of achieving nothing but excellence at the NLS and I will strive to study with them as a group after I must have done my personal reading. Finally, I will never forget the place of God and I will constantly ask Him for directions in my studies and all through my stay at the NLS. About: My name is Deborah Okpiaifo. I was recently called to the bar with first class honors. I currently work at Punuka Attorneys and Solicitors as an NYSC associate. I am interested in corporate and commercial law and am looking to develop my career in these areas of law. I enjoy reading novels and creative writing. Above all, I am a Christian and my attaining a first class is a testimony of God’s grace magnifying one’s effort. I can be reached at deborahokpiaifo@gmail.com. 1. Relax. Don’t be afraid. Bar finals is not the monster it is made out to be. Seek encouragement. Go to church. Listen to those who have made it. 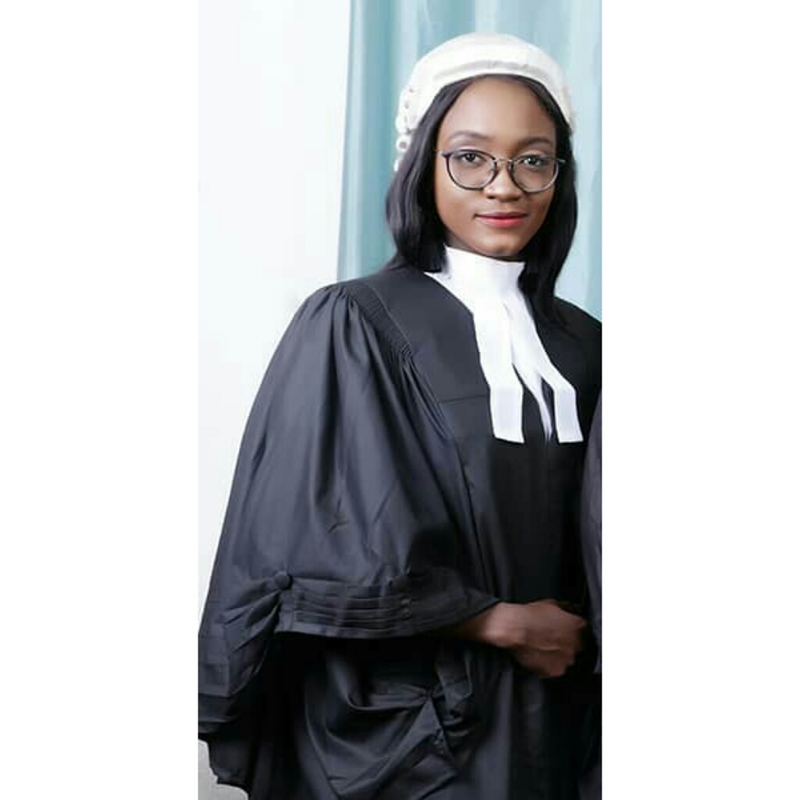 Read Bar Finals Testimonies. Before law school started, I found Ekaete Hunter’s My Bar Finals Testimony series. I read every single one and I determined that mine was going to be the next one up there. I heard a lot of stories about how even people who read extra hard don’t get their desired result. You’ll have to choose which story you’ll hold on to. 2. Start your reading early. You may not realize the importance of this until it is a few weeks into the curriculum and you already have work piled up. This gave me a lot of anxiety during law school. 3. Do your pre-class assignments. You’ll have one every day. It’s a lot of work but just try to do it. Don’t rely on the group submission. It helps in your reading and ensures that you’re not lost when the topic is being taught in class. 4. Find your own strategy. This is so important. You need to find what works for you. In law school you’ll hear “Make notes before class”, “Make notes after class”, etc. What I realised is, there’s no hard and fast rule. I stuck with the reading method I used in law school. I couldn’t keep up with making notes before class so I took good notes in class and afterwards read up on the topic. 5. Every minute matters. Use your time wisely. The days really do fly by in law school. About: I am from Igueben in Edo State. I had my secondary education in Command Day Secondary school, Oshodi, Lagos where I graduated as the best graduating student in art class. I attended University of Benin where I graduated as the overall best graduating law student. I love writing, reading novels and seeing movies. I can be reached at oseokhuegbe@gmail.com. I resumed law school on the first day of resumption and I had to do my clearance for an entire week. That was when I realized that Lagos campus would be extremely stressful. Classes started in the second week and we usually closed late. I knew my pattern of reading in the University would not work in law school. I read a testimony on Ekaete Hunter’s blog and I adopted the person’s pattern of reading. I cannot remember the name. I only know how to read by making notes and I could not stop. So I would wake up by 5am in the morning on weekdays and read the topic we had for the day and go through the tasks. This pattern made me understand the topics easily in class. I also made sure to take down notes in class. My class notes were even more important than my personal notes. Then after class, I would go for group meetings, then sleep for a while and make my notes. I always made sure to sleep before 12am because I knew I would be awake by 5am again. Then during the weekends, I would use the entire day to read and catch up on the notes I was unable to complete. I also made sure to use my Christmas break effectively. During the second term, I fell sick a lot and became depressed. My snap test scores were not encouraging and I was under pressure because I was the best graduating student from my University. In my depressing moments, my mum was always there, calling me constantly. I cried a lot because I felt the courses were difficult and I was lagging behind. I had to go home constantly during the weekends because of my health. I want to use this medium to thank Ayodele Kadiri Ashiata. She constantly sent me links on whatsapp to the first class testimonies on Ekaete Hunter’s blog. Those testimonies encouraged me and kept me sane. But I was still lagging behind because I was making personal notes. My advice is that you should know what works for you. If you are not the type to make personal notes, please do not bother because you would only get frustrated. My turning point was during the externship period. I stayed in the hostel during externship and my roommates were amazing. I prayed a lot not to get any stressful court or law firm. I was able to complete my note making during externship and read all my courses again during externship. I was able to practice my drafts during externship. I answered a lot of past questions during externship. I drafted a lot of charges in the past questions and was able to find out my mistakes. Please, make sure you go through past questions so you will have an idea on how the questions are set and how to answer them. I also answered the mcqs and was able to get faster in answering the questions. Bottomline, practice makes perfect. Just read over and over and over again, it would stick. After externship, we had another snap test, mcq snap test and I had a very high score, I was among the top 5. That was when I knew I was almost ready for bar finals. In Lagos campus, the lecturers gave us corrections to the snap tests we did. I was able to realize all my silly mistakes that cost me a lot of marks. During bar finals, I saw similar questions to my civil litigation snap test. I was so excited that I listened to all the corrections. Please just calm down during the exams, read and understand the questions well, note the different jurisdictions. I would like to tell the aspirants to take Professional Ethics and Skills seriously. Don’t wait till two weeks to exams to read Ethics. With the benefit of hindsight, if I had to talk to myself when I was resuming at the law school last year, I would have told myself to calm down. I would have told myself to stop being afraid. I would have told myself that all the courses were easy. I would have told myself that all the drafts which looked difficult would become very easy before exams. I would have reminded myself to breathe and sleep a little more because I developed a chest pain in law school. #MyBarFinalsTestimony is brought to you by the MCQ APP in conjunction with Ekaete Hunter. Thriving in law school is a conscious and deliberate one and as an aspirant to the Nigerian bar, you must guard you heart ‘with all diligence :)’ as preconceived notions can either make or mar you. There’s really no hard and fast rule for acing the bar exams and most of what I state here are the personal methods I adopted. For me, starting my reading early was key because it usually takes a while for me to assimilate things and I had a tendency of forgetting things easily so I had to ensure I was familiar with my notes before the bar exams. Besides, I also had a major event (my wedding) coming up and I couldn’t afford not doing well. I had no fixed number of hours of reading. I read till I got tired and slept off. Sometimes I would be so exhausted that I would just sleep off after coming back from lectures. While I admit that law school is stressful and this is because of the workload and the time frame within which you’ve to learn a bulk of things. In fact when I was in law school, I wished the lectures could be split into three terms such that after each term, we would write exams but they were mere wishes which never came to a reality :). However, as stressful as it is, law school is not tough neither is it hell on earth as it is usually painted; you have a choice of what to make of it. Lest I forget, food is key. Due to the stress you’ll be undergoing, starving yourself to read is never an option. One thing I learnt to do in law school was to eat regularly, I rarely missed breakfast and my roomies even used to laugh at my eating habits. I even added weight such that one would have wondered if I was really reading, but the bottom line is: eat well.